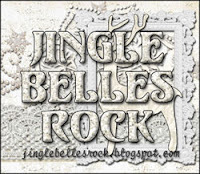 jingle belles: Thank You, Santa! 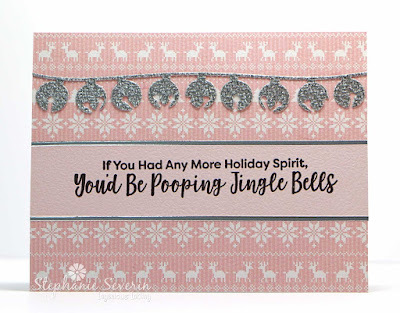 We're still breaking out lots of new things in our stash this week to create some of our first holiday cards of the year. Lauren says, "I thought this would be a great time to break out the Snowglobe #2 Sizzix Thinlits die set I treated myself to at Paper Anthology right before Xmas. This is definitely a tweezer-intensive die set, and I'm sure that the snowglobe and stand will get more use than the village with its 46 (yes, 46!) separate, tiny, pieces. But... you can't really argue with the results, can you? I used various layers of foam tape to give a more dimensional look to the houses and added in a few perfectly-to-scale Eyelet Outlet Pine Tree and Snowflake Brads. A card with this many bits and pieces is definitely one I'd make only for a few special people, but I do really LOVE how it turned out." 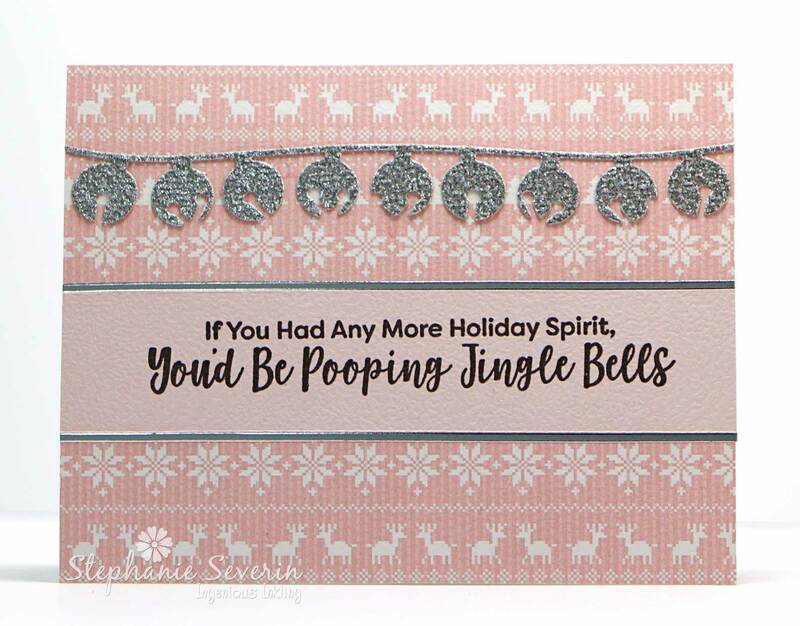 Stephanie says, "Santa brought me these fun Sassy Pants Holiday Sentiments from My Favorite Things (I'm already thinking about who might find this card in their mailbox). I paired it with pink holiday paper and a Jingle Bell Border from Memory Box cut from silver glitter paper. 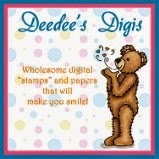 I finished with Love from Lizi Pin Stripe Peel-off silver stickers to frame my sentiment ... easy peasy." 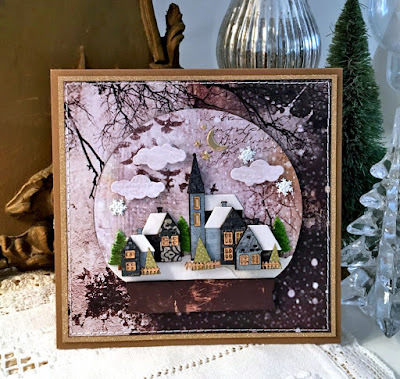 You have until Wednesday, January 30, 2019 at 6pm EST to link-up your cards featuring all of your awesome new goodies & gifts. Keyword for galleries and Jingle Belles Flickr Gallery is JB:19:02. Love hearing you talk about the TH snowglobe dies... I had wondered how intensive it was... but you are right! The results are FABULOUS! Still cracking up over Stephanie's sentiment...too cute!